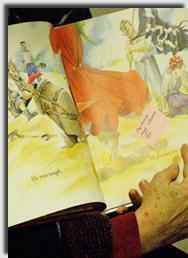 Inferring is a strategy used before, during and after reading. Predicting is a part of inferring. To infer, readers notice references in the text and mix the new information with personal background knowledge to draw correct conclusions. Students practice inferring what words mean, answers to questions the reader has, to what pronouns refer, how to use text to understand characters, how to separate facts from opinions, and themes. Learners distinguish between inferences, assumptions, and opinions by backing up their conclusions with evidence. As we continue to grow as proficient readers, we devote 6 weeks to studying inferring and how it integrates with all strategies. I can explain the difference between an inference and an opinion. I can explain the difference between an inference and an assumption. I can understand the difference between an inference and a prediction. I can recognize the difference between an inference and an observation. I recognize a pronoun and what it stands for. I can predict and then confirm or disconfirm my predictions when reading. I can reference the text to defend my inferences. I am willing to recognize when my inferring has gone off track. I can change my mind when confronted with new information. My inferring unit is extensive. To start us off, we play. We play with the inferring we do every day. We figure out puzzles. We infer from life experiences. We try to explain the background behind photos. We look at idioms and proverbs and explain what they mean. Take a look at Little Inferring Pieces as anchor lessons for the Inferring Unit. Have fun with the strategy before you move into the harder parts. I choose a meaty book to model how I infer. I think aloud, explaining the difference between what I’m reading and what I’m inferring. I eventually turn the thinking over to the students. At first, they share with a partner. Then, they read and quote the words that capture their attention directly from the text into their reader’s notebooks in a double-entry journal style. On the left side, students quote from the text. On the right side, they write what they infer from the quote. We reflect on model daybook entries. Finally, I coach students whose thinking is off course to see why. Through modeling, analyzing daybook entries, and coaching students to explain their rationale, I push students to think about their thinking until they are successful. Next, we begin to break inferring down into its many parts. Predicting is one skill that falls under the inferring umbrella. The dictionary says that a prediction is a prophecy - an idea that we think will come true. The best way to prophesize what will happen next is to use the facts we've already been given. During our connections unit, I showed students how to reference the picture, the author, the title and any other information on the cover as a part of overviewing. At that time, I didn’t share that overviewing and predicting are forms of inferring. In this unit, I explain the distinction. We continue to predict and then confirm or disconfirm our thinking when confronted with new information. We also study predictions that go off track. When someone makes a false prediction, we analyze why. Once, I showed a second grader a book with a sweet, cartoon drawing of a dog in a bathtub. He predicted that the dog would attack everyone in the story. There was no evidence to support this expectation. When pressed to confront why the prediction was not his best, he realized that his reasoning was based more on his experience with dogs than the evidence on the cover. Often readers dig in their heels, reluctant to relinquish a prediction. This is tough. I find that it helps to draw attention to my predictions that turn out to be wrong and to discuss the disequilibrium of learning. In reading groups, we discuss our notice-infer double entry journals mentioned above. For some reason, my students love inferring in this way. They copy a quote, summarize or retell the text in their journals and infer what is going to happen, why the author wrote what she did, and their predictions about theme or main ideas. They come to reading group prepared to discuss their inferences with one another. Students press each other for proof and explanations. It’s fun to watch. Readers confirm and amend their predictions, also. To help me see students’ thinking, they record their predictions before reading. When a prediction turns out to be true, that student explains the reasoning that led him to make the prediction. If a prediction turns out to be false, the reader figures our why - with our help - and amends his prediction. Daybook entries written in the quadruple style helps students get in the habit of thinking in this way. When they get to the point that they are willing to change their minds, I tell them, they are comprehending. Fact and opinion also fall under the inferring umbrella. I find teaching fact and opinion entertaining. We all take for granted that there are facts – evidence, and there are opinions – beliefs. Over the years I’ve come to realize that students have inadvertently added two new categories: (1) opinions they know are true and so they call them facts and (2) facts they refuse to believe so they are opinions. When studying inferring, this labeling comes into play and so we try to sort it all out. Through think alouds, reading groups, conferences, and daybook assignments, I stress that an opinion is what the reader thinks, a synthesis of personal experiences as well as knowledge. In reading, inferring is not about figuring out what the reader thinks. Inferring is about figuring out what the author wants the reader to think, based mainly on references in the text. I use the following 3 methods to help students understand the differences. Arthur Hyde’s terms assumption and an inference help us. The author of Comprehending Math points out that inferring is grounded in evidence from the text and from background knowledge. Assuming is an inference but it is not backed up by fact. For example, third graders read my story about a fairy, "Strange Day in July." When asked, "Is the story fiction or nonfiction?" one student said, "It is nonfiction because my parents have seen the tooth fairy so this is a true story." Since the student’s inference is off track, I redirect his thinking. In this case I point out that the words in the text, "spinning rocks into fairies," led the student to make an assumption. When pushed to find the words tooth fairy, the student cannot. What’s required at this moment is explicit teaching. What that means is explaining exactly what the student did. I might say something like, “Jerome read the words spinning rocks into fairies. Those words made him think about tooth fairies because his parents say a tooth fairy has visited his house. But ‘tooth fairy’ is not mentioned in this story.” With practice and conversations like these, readers realize that they should stop and question their conclusions to decide if they are inferring or assuming. Readers ask themselves, would 99/100 people agree with my conclusion? When considering others, most learners understand that their thinking has gone off track. By now they know that (1) a wrong piece of background knowledge might slip into their brain or (2) they might focus on one clue, not all. For some reason, considering 100 opinions brings assumptions into sharper focus. Since I just scratched the inferring surface on this page, I would recommend more reading. Consult Arthur Hyde's book Comprehending Math, Harvey and Goudvis' Strategies That Work, and Kylene Beers’ When Kids Can’t Read/What Teachers Can Do. Another helpful book for teachers and parents is 7 Keys to Comprehension by Zimmermann and Hutchins. Also, try out the lessons I’ve posted for you. Design your own. I’d love to hear from you about what works. Short lessons to engage students in inferring. Using a comprehension framework to write lesson plans so you can coach your students how to infer. Students read to find the difference between a fact and an inference. Students learn to identify pronouns and what they stand for. Once students know how to notice-wonder, teach them how to notice-infer. Good readers draw inferences from text. Proficient readers use their prior knowledge and the information from the text to draw conclusions, make critical judgments, and form unique interpretations from text. Inference may occur in the form of conclusions, predictions or new ideas.